A high precision electronic level is used to level the foundation of the surface to ensure that the machines can deliver accurate output. This is a handhold product and easy to use. India Tools & Instruments Co. is the foremost High Precision Electronic Level Manufacturers; we understand our client’s need that is why we offer our products a wallet friendly price. 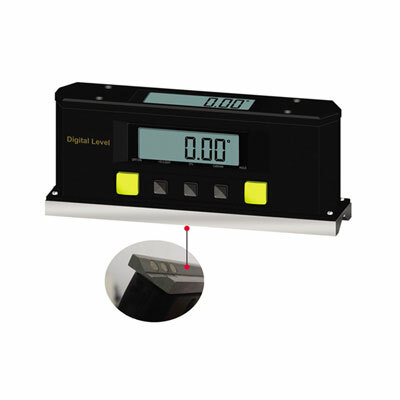 • Large LCD display reads upright at any angle. • With backlight and Buzzer. • Absolute measurement and reference measurement conversion. • Degree, mm/m and slope conversion. • With data storage capabilities. • Battery Type: 3V CR2032X3. Application : An engineer's precision level permits leveling items to a greater degree of accuracy than a plain spirit level. They are used to level the foundations, or beds, of machines to ensure the machine can output work pieces to the accuracy prebuilt in the machine.